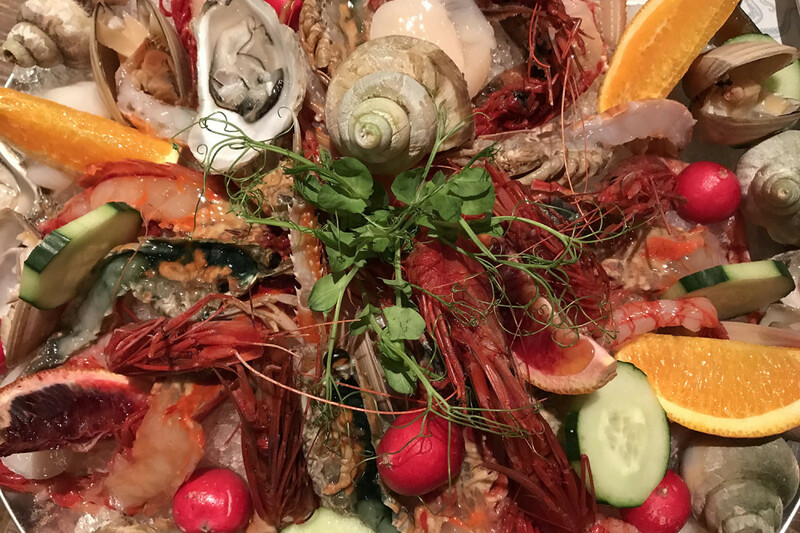 Delights from the sea are not hard to come by in a port city like Hong Kong, but it does take some skill and imagination for a restaurant to separate itself from the masses of mediocre seafood peddlers out there. Now with a second outlet on the praya of Kennedy Town – a much more suitable location than the OG on Wanchai’s Queen’s Road East, might we add – Chef Gianni Caprioli and his team have expanded their reach in a bid to share their bountiful, homestyle Italian cuisine with Hong Kong diners. With a clear, sweeping interior that allows one to see the entire Fishsteria Waterside space at a glance and an open shopfront that spills out onto the waterfront promenade, the views at this new location aren’t too shabby either. 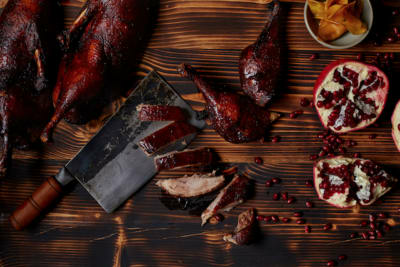 We like the laid-back, modern “beach shack” vibe a lot, a big step away from the sleek black-and-white tiles and 1920s atmosphere of the eatery’s Wanchai sibling. An impressive array of appetisers set the tone for the evening. An amuse-bouche of ricotta cream, lemon, lime and bottarga whet our eager appetites, while the mixed seafood platter ($588) was an absolute showstopper, crowned with raw oysters, red shrimp, langoustine, scallops and cooked whelk. Served on ice, this chilled carnival of decadence was perfectly suited for our party of six, and we indulgently fished around for our favourite seafood and relished in its briny, unadulterated freshness. The scallop and apple ceviche ($198), warm and fragrant, came together with a unique combination of flavours that, on paper, seemed unlikely to couple well and were met with sceptical eyeballing. 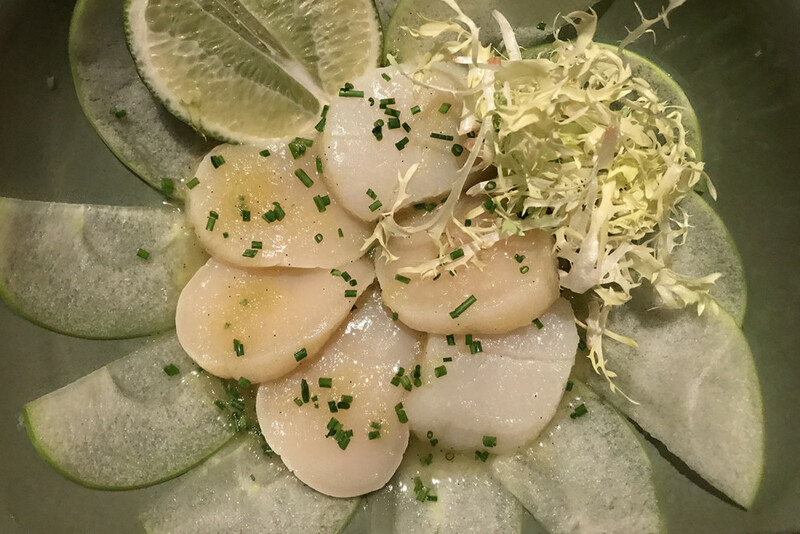 Served with lime and paper-thin slices of green apple in a vanilla dressing, the startling sweetness of the fruit enveloped the scallops in a distinctive and unusual flavour profile that was actually quite pleasant. All the seafood served at Fishsteria Waterside is sustainable and MSC certified. Rather than renovate the restaurant from scratch when they took over the lease, the team decided to reuse most of the furnishings left behind by the previous occupant. Some of the wall decor was made using old wood sourced from shipyards. Fishsteria’s revisit of the classic Caesar salad ($158) saw us digging into a sea of romaine lettuce and thick Parmesan cheese shavings, with an added twist of steamed cod and a creamy bottarga dressing that added a singular twist of the sea to a fan favourite. The salmon tartare ($188) also deserves a special mention. 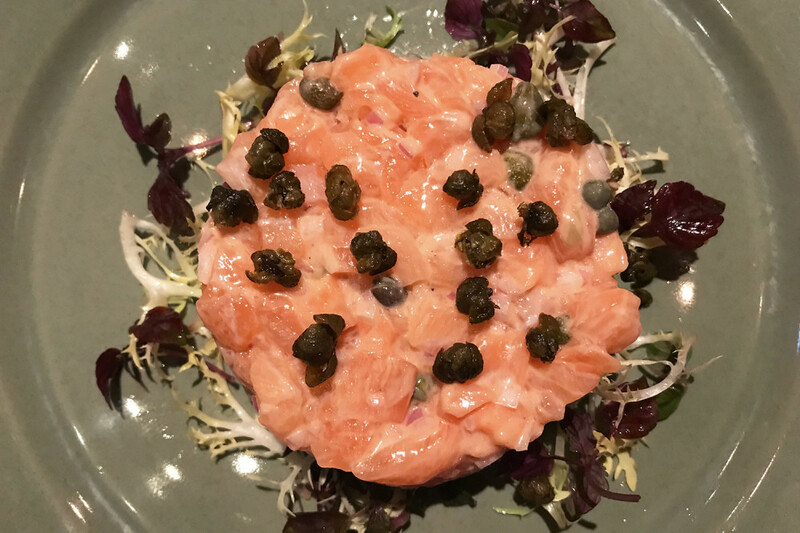 Made from sustainable Atlantic salmon with a sharp mustard dressing and dotted with crispy capers, with toasted bread rounds provided for scooping, this was a solidly flavourful execution despite its simplicity. 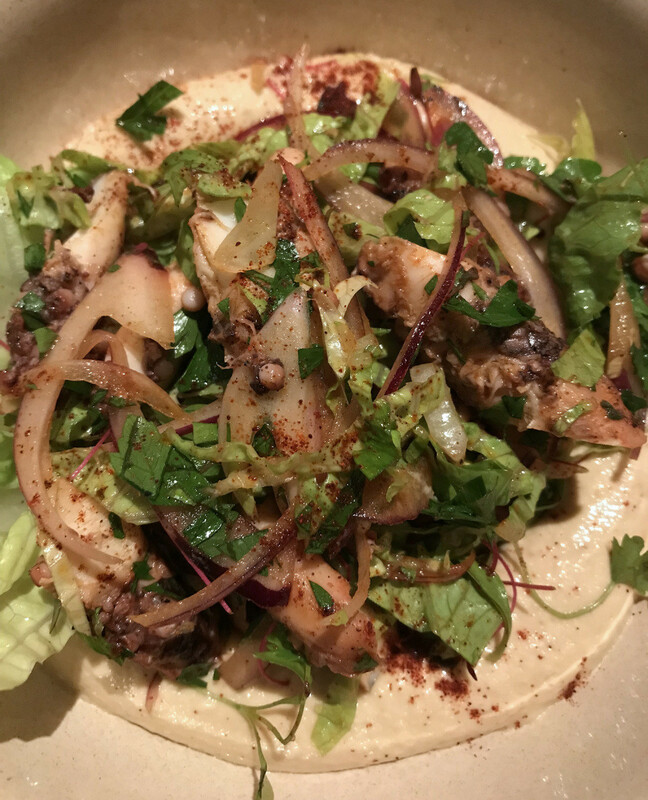 The chefs came forth with their playfulness and modern approach to Italian cuisine with the next two dishes: a hearty Italian stew and hummus with a seafood twist. 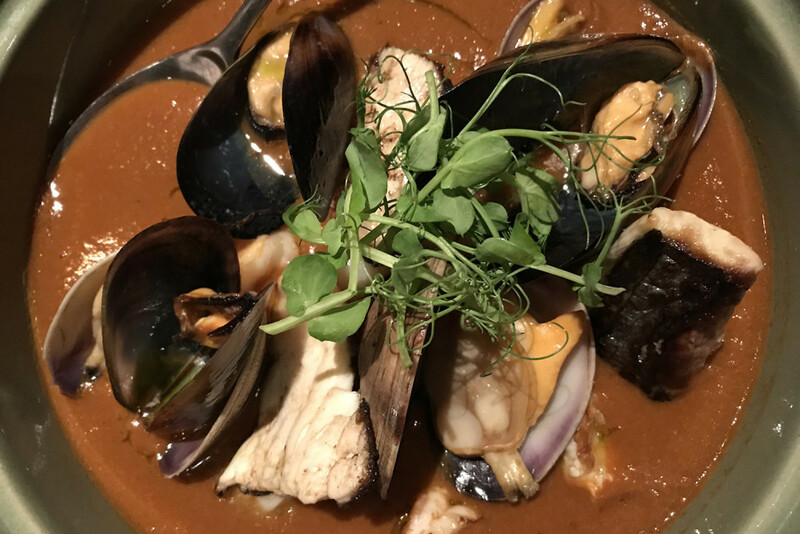 The cioppino ($TBC), a fisherman’s stew whose origins can be traced back to Italian-American foods in San Francisco, was a delicious blend of prawns, mussels, clams and fish in a tomato and seafood broth, as rich as it was fragrant, while the octopus and hummus ($208) added a well-rounded kick with a smattering of tender shredded octopus. What Mediterranean meal is complete without carbs? Not ours. 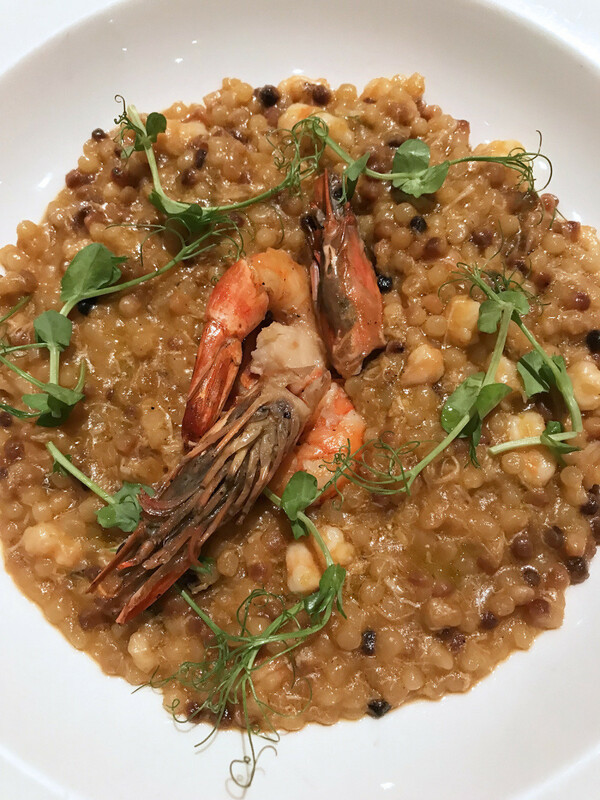 We were pleasantly surprised with the crabmeat and prawn fregola ($188), a type of rounded Sardinian soup pasta made of semolina flour whose preparation method is akin to risotto. Cooked with fragrant saffron, the fregola was delightfully creamy and educational to our palates in its uncommonness outside Sardinia. 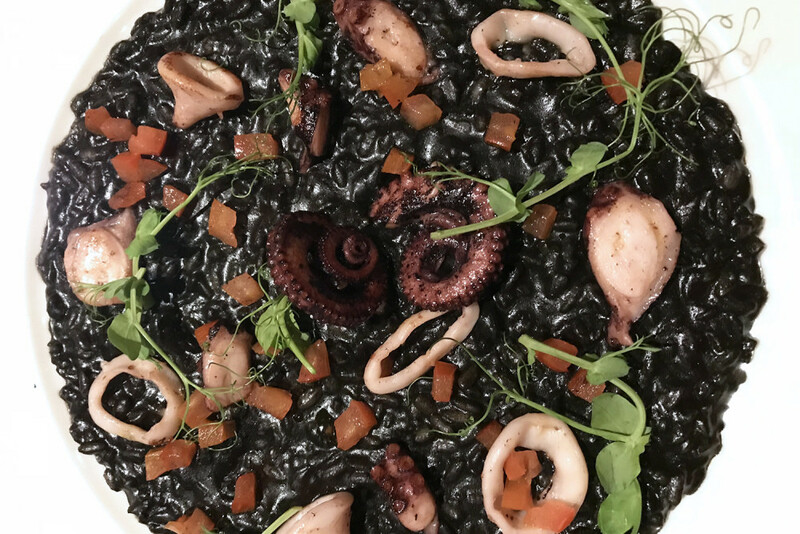 The black squid-ink risotto ($188), with baby calamari and octopus, was a little less forthcoming in originality and wow factor in comparison to the fregola but was enjoyable nonetheless, and both dishes imparted the kind of warmth and richness of flavour that hug your belly and linger on your taste buds. Long story short: it feels good to eat and allow yourself to indulge in the fresh catches at Fishsteria Waterside. 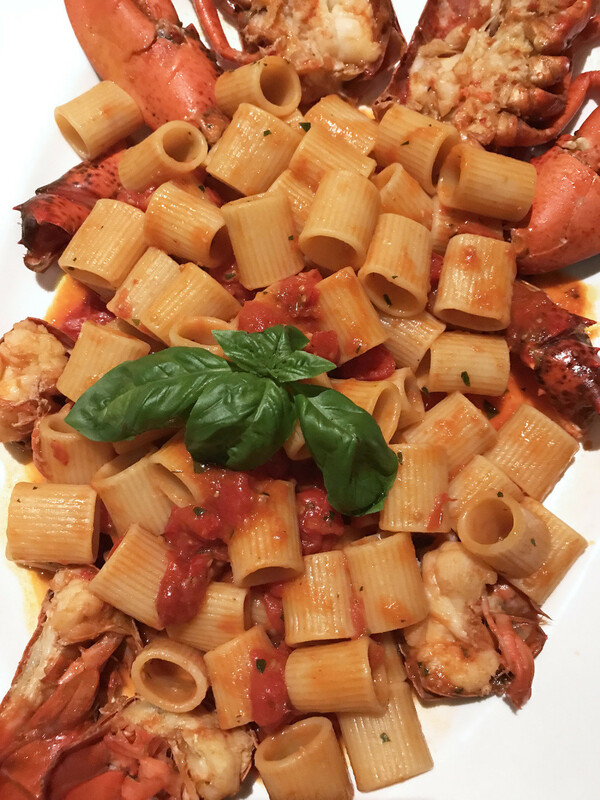 The giant macaroni and lobster, the crabmeat and prawn fregola, the salmon tartare and the mixed raw seafood platter were the unanimous highlights of our meal. 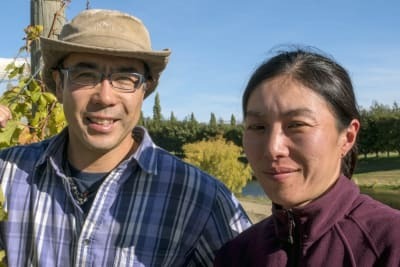 Sustainability being the name of the game, and seeing the evident effort put forth by the chefs in sourcing the best produce for both our taste buds and the environment, the price tag of a meal here is on the steeper side, but it appears to be a sacrifice consumers have to make at this point in time in order to play their part when it comes to responsible dining.